Westfield Seller Tip: What Should You List Your Home For? You are here: Home / Westfield Seller Tips / Westfield Seller Tip: What Should You List Your Home For? You’ve been wanting to make a change. Your Westfield home’s value increased since you bought it. Maybe your kids flew the coop and you don’t need as much space. Perhaps the opposite is true. Your family has outgrown your current housing situation. But before you can move on, you must sell your current property. For this week’s Westfield seller tip, learn how to price your home to sell. What’s My Westfield Home Worth? 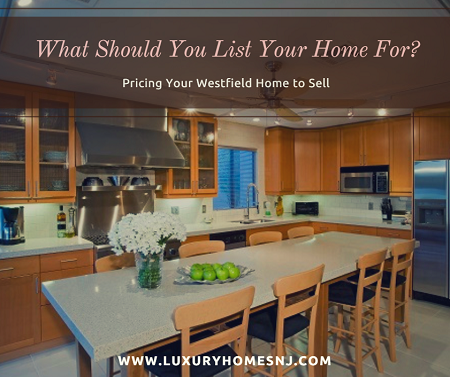 First, you should find out what your Westfield home’s worth. Several real estate search sites like Zillow and Trulia provide an estimated home value along with the address and asking price. However, these can be way off the mark in terms of the real market value. Instead, visit my Find Your Home’s Value page here. Enter your home’s address. Then, add your email address and submit. It’s absolutely free to use. The part of this week’s Westfield seller tip involves comps. Talk to your Westfield REALTOR@ about recently sold comparable properties (“comps”) in your neighborhood. Since the real estate market constantly evolves, only use data about homes sold within the last 30 to 60 days. Stick with homes in your neighborhood (preferably on your street). Only look at homes similar in size and amenities to your own. This helps keep the “real” price in focus. In terms of size, the number of bedrooms and bathrooms doesn’t matter if the square footage is the same. A 3 bed/2 bath 2300 square foot home comes out to the same approximate value as a 4 bed/2 bath home similar in size. However, even an extra half a bath can make that three bedroom property worth more than the four bedroom one with the same total square footage. Your REALTOR@ can answer any questions you might have about this. While upgrading your kitchen to bring it into the modern era was a good idea, it doesn’t mean you’ll recoup the entire $50,000 you sunk into it. That’s because homeowners rarely receive 100% return-on-investment (ROI) with home improvement projects. Yes, a beautiful kitchen will help sell your home. And if it was outdated, a remodel was probably necessary. If you want a successful Westfield home sale, you need to keep the total amount you invested in your property out of your mind when setting a list price. 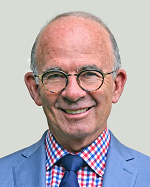 What this week’s Westfield seller tip boils down to is this: buyers determine the market value. You may have the most beautiful house on the block. But, if you overprice it, buyers won’t pay. Then, your home sits on the market longer, requiring a reduction in price. Sometimes, you may have to reduce it several times before it sells. Price it right to start with and you’ll have it sold in no time. 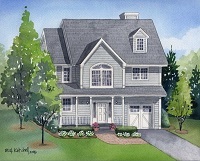 Contact me today to put a strategy together to get your Westfield home sold tomorrow.